Immerse yourself in one of Queensland's best kept secrets, Paronella Park. Located in the tropical rainforests of Mena Creek, and on the base of a powerful and dramatic waterfall, this stunning heritage-listed property is going to be the surprise of your visit to Far North Queensland. Full of magic and secrets, Paronella Park features a story of determination, perseverance, and dreams, told by experienced and passionate guides. A tour bus will collect you from Cairns at 2:30pm, and take you on a drive through cane and banana farms before landing you in the rainforest wonderland, Paronella Park. On arrival, be treated to an exclusive story-telling stroll through the gardens and grounds. Discover the rows of towering Kauri Pines, hidden Teresa Falls, and Gaudi-inspired buildings created from river sand, railroad tracks, and the mind of visionary Jose Paronella. Wander and explore this exotic creation. Feed the fish and turtles, and be transported back in time. After your tour, join us for dinner at the Mena Creek Hotel, recently voted the Best Bush Pub in Queensland. The friendly and outgoing staff will make you feel at home and serve you up traditional and delicious Aussie tucker. Choose from the wide selection of beers and wines, and enjoy the sweeping vistas of country Australia. 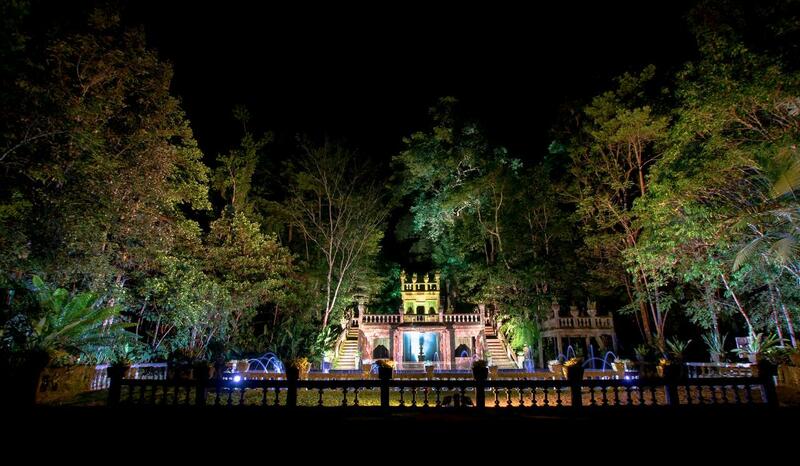 After dinner, you will be transported back to Paronella Park for something truly special. The Park, whose secrets you heard earlier in the day, is now shrouded in darkness. Lanterns dot the walkways, and we take you by torchlight to discover the serene beauty and wonder of the Park at night. 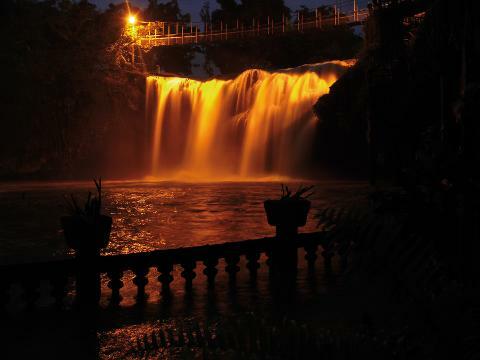 The waterfall is floodlit, and is truly breathtaking. As you're guided back to the castle building, all torches are switched off and you are in complete darkness, with just the sounds of the rainforest washing over you. Suddenly, the castle building is lit up, and you hear classical music - award-winning The String Family are there to provide the perfect accompaniment to the completion of a day that will live on in your memory.